One week from today The Commonwealth Shakespeare Company (CSC) will once again host their annual production of a William Shakespeare play on the Boston Common. Opening night will be Wednesday, July 18th and performances will run through Sunday, August 5th. Performances take place Tuesday through Saturday at 8pm; Sundays at 7pm; with a 3pm matinee performance on Saturday, August 5th. 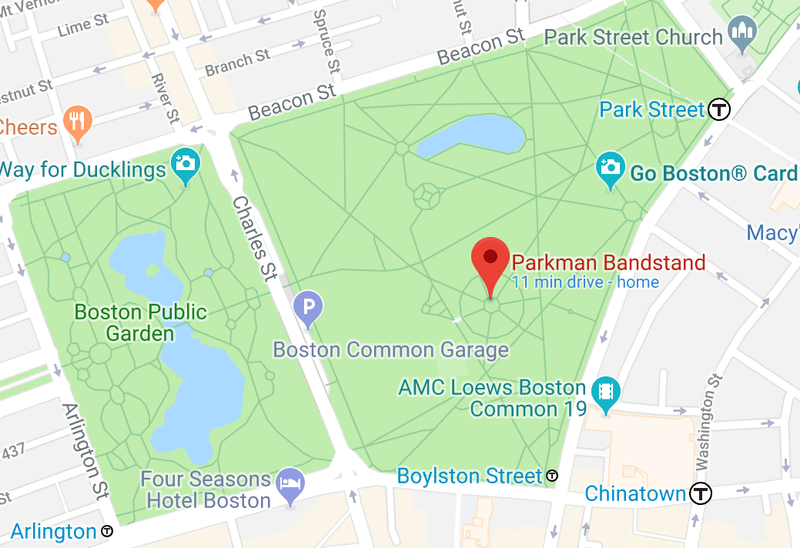 The image above shows the location of the theater production on the Boston Common. I suggest arriving early to ensure you can be within sight of the stage. When I attend, I like to make a quick stop at the Roche Bros in Downtown Crossing to stock up on snacks and drinks – food is available on the Common but options are somewhat limited. Need a quick overview of this Machiavellian monarch Shakespeare dedicates an entire play to? 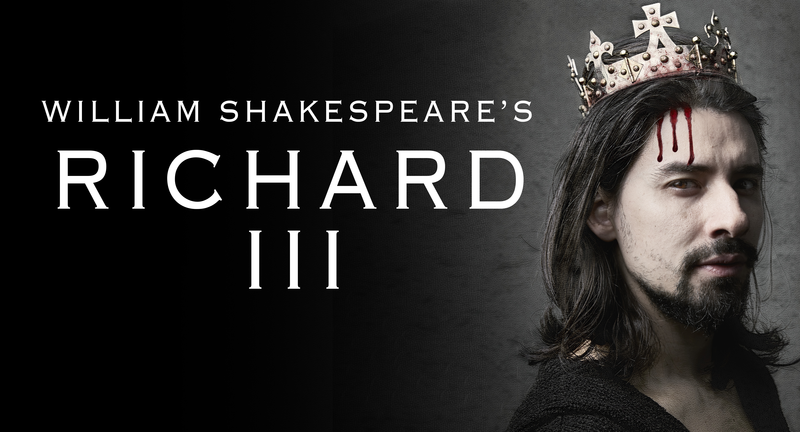 Here is a quick recap of Richard III (as told by Shakespeare). 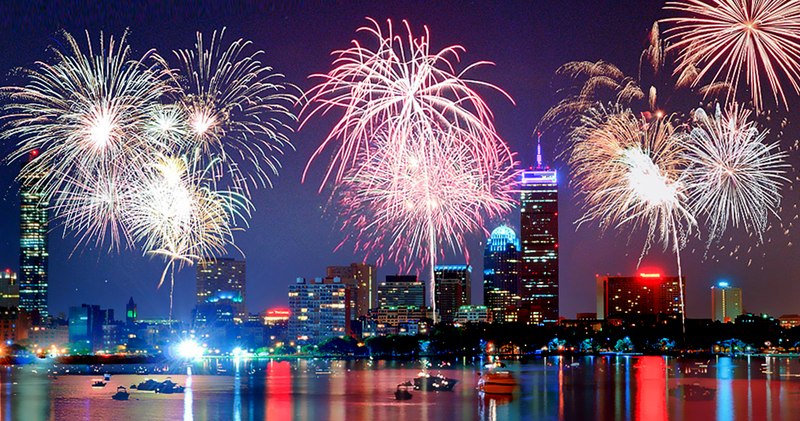 Boston hosts a very large 4th of July celebration that is free and open to the public. The Spectacular is held at the Hatch Shell on the Esplanade in Boston, and the gates have already opened – with tens of thousands squatting small spaces along the thin line of grass that hugs the Charles River. 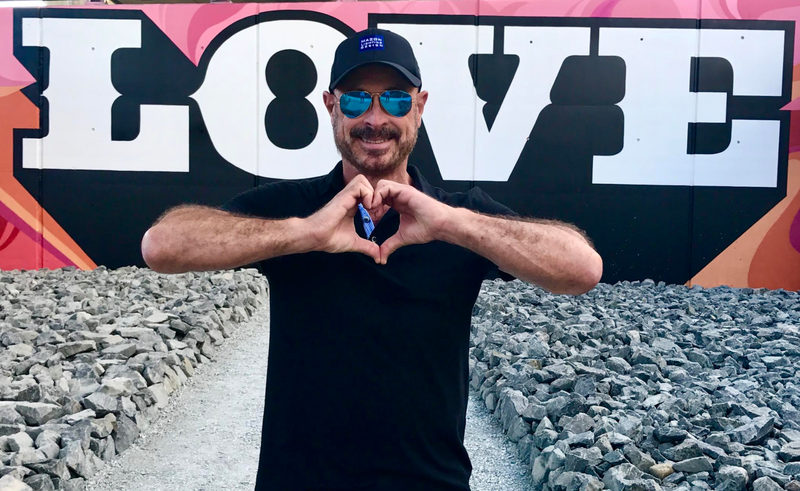 However there is still plenty of time to get down there if interested because the actual concert doesn’t start until 8 p.m., and the fireworks show begins at 10:30 p.m. This year the program will be broadcast live on both Bloomberg TV and WHDH-TV, beginning at 8:00 PM. 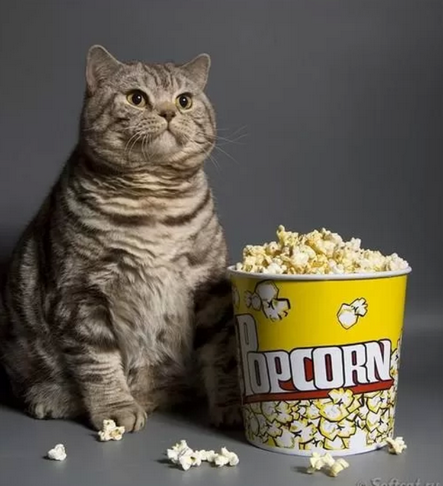 The entire concert and fireworks display will also be available to live stream at Bloomberg.com, Boston.com, and the local gay bar, Cathedral Station, will be showing the event live from their bar if you want to watch with friends but not have to deal with the crowds. Massachusetts-native Rachel Platten will headline the show this year. She will be joined by the Indigo Girls, as will Broadway star and EGOT-winner Rita Moreno and Broadway star Natlie Cortez, who will be starring in the world premiere of Moulin Rouge The Musical which will start its pre-Broadway run at the Emerson Colonial starting July 10th. The Boston Pops will also pay tribute to Leonard Bernstein, a Lawrence native, Harvard alumnus, and former music director of the New York Philharmonic. The Boston Globe has a list of items you cannot bring past security check points. To read that full list link here (and scroll down). And for any other details you might want to know, check out the event’s official webpage, bostonpopsjuly4th.org. Summer in Boston = free outdoor movies are playing nearly every night. Most movies start around dusk but for details about times and locations check the links included for each showing. Outdoor summer movies can make for fun evenings with friends or a nice date night. The annual World Naked Bike Ride (WNBR) is one month from today and for those who would like to participate, check out the World Naked Bike Ride Boston Facebook page and the official event website, wnbrboston.com. For those of you unfamiliar with this annual ride, the WNBR is a clothing optional global protest to call for more bike-friendly streets. The starting location of this year’s ride won’t be announced until Thursday, July 19th. A pre-party (date TBA) will begin at 6PM and the ride will start at 8PM on Saturday, July 21. Let me know if you plan on participating in this year’s ride. I’d love to hear more about this year’s ride. In 2012, the first Japan Festival Boston was hosted, celebrating the 100th anniversary of the friendship gift of cherry blossom trees from Kyoto (the sister city of Boston) to Washington D.C. 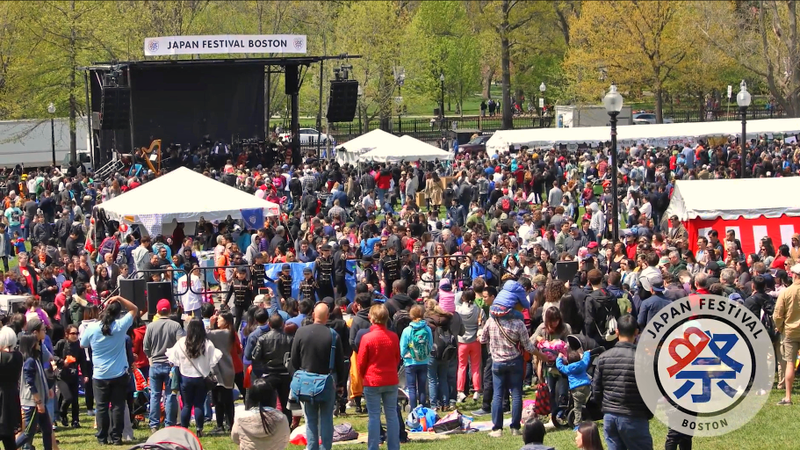 This year marks the seventh annual Japan Festival in Boston on the Boston Common (April 28-29). For those of you who enjoy Japanese food note that Saturday (1PM – 6PM) there will be nearly a dozen vendors selling some of the best ramen noodle you can find in Boston. On Sunday (11AM – 5PM), additional booths will be open, workshops will be ongoing as well as stage performances, a cosplay contest and more. For more information about this year’s festival, visit their website, www.japanfestivalboston.org, and if you are fascinated by Japanese culture be sure to check out The Japan Society of Boston. Next Thursday join The History Project for their latest installment from the Out of the Archives Series. A free series of intimate events featuring focused topics, interesting discussions and selected photos /documents from the History Project Archives. This program features local author, Robert Fieseler (shown above). The History Project at 29 Stanhope St. While writing Tinderbox: The Untold Story of the Up Stairs Lounge Fire and the Rise of Gay Liberation, author Robert Fieseler spent much time and effort recreating the context of “the closet” of 1973 – a societal condition that now puzzles LGBTQ+ youth, as well as many allies who prefer to overlook their past attitudes. Fieseler will discuss this part of his writing process, and his research into the fire and its ramifications. Doors and reception at 6:00PM, talk begins at 6:30, followed by a short Q&A. This talk will be in The Geo. Johnson Room, on the 2nd floor of 29 Stanhope St.
WBUR recently published The 50 Best Works of Public Art in Greater Boston, ranked. 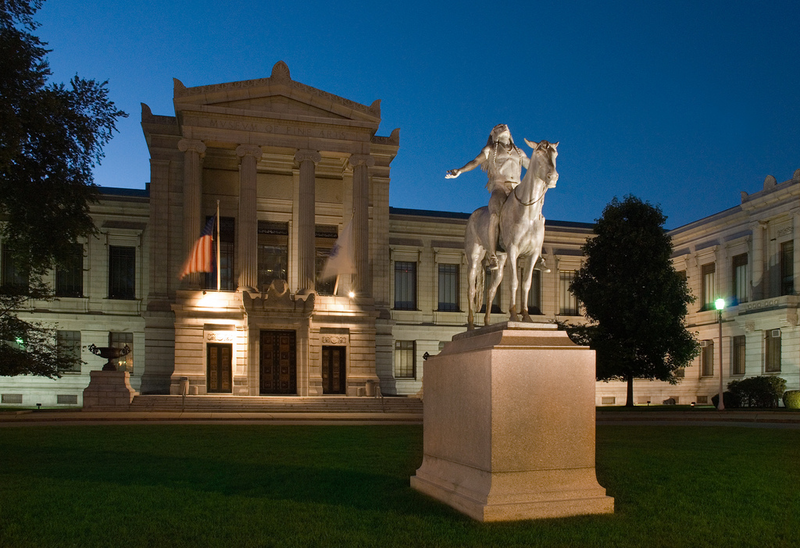 WBUR Arts reporter, Greg Cook, opens the article pointing to past criticisms by other Boston art critics who complain of a lack of imagination and a history of having too many sculptures of sports heroes and old white politicians. 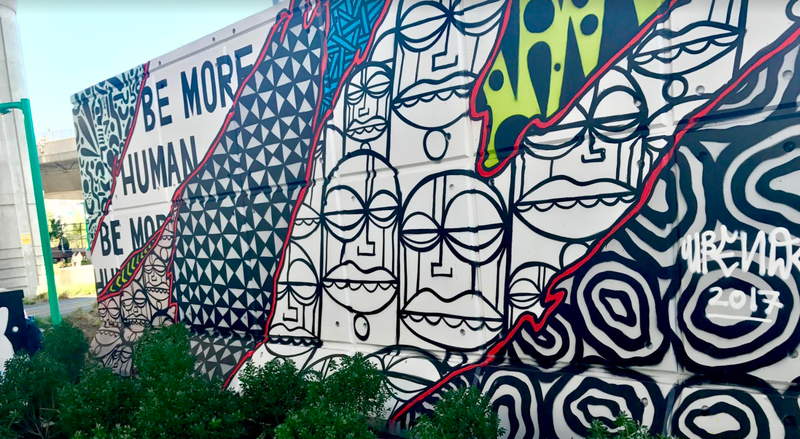 Boston’s public art isn’t what is stodgy as much as it might be those whining art critics who must only walk around Beacon Hill, The Back Bay and Government Center. If they ever visited other neighborhoods they might be surprised by what they see. While I agree that Boston has a ton of art dedicated to athletes and politicians let’s remember this is a sports town of the first order and there was this little thing called the American Revolution which started here so we should have a lot of those statues – it’s what the tourists come here to see. 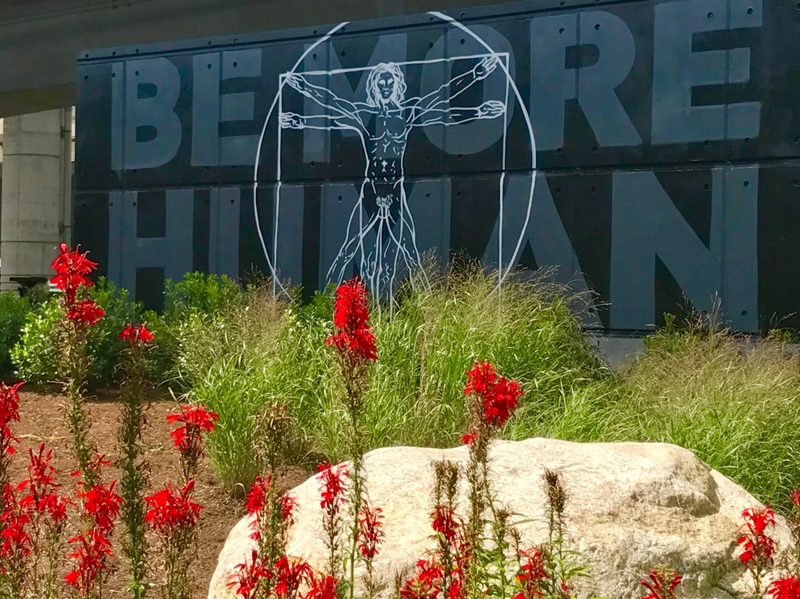 I have to compliment Cook on his list of public art, but in this blog post I’ve added a few favorites of mine which didn’t make his list. 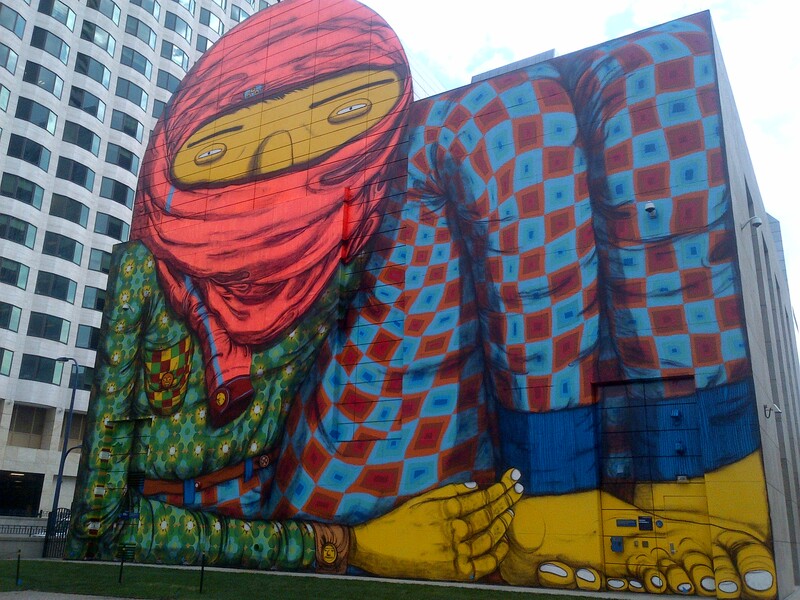 Notably I’d like to also share a 2015 article from Boston Magazine, which was dedicated to the amazing street art that dominates much of Allston, Neighborhood Public Art: Allston. I would also like to give a shout out to the Underground Ink Block park, which opened last year and I think was overlooked. It shares more creative graffiti street art under the I-93 expressway along the South End / Southie border. Below are some examples of what you’ll find in this new park.